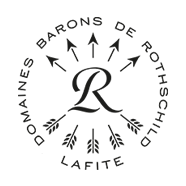 Blason d’Aussières is characterised by ripe fruit, fresh flavours, and a supple, full-bodied structure which is an excellent representation of the property’s terroir. Its aromas evoke the richness of the garrigues and the flavours are often spicy. 20% of the wine is aged in oak barrels for 12 months. As in previous years, the weather varied enormously over the Languedoc region. The nearby Mediterranean coastline was strongly impacted by low rainfall, not only during the winter but also during the growing season. However, this very special vintage enabled a good expression of the vines throughout the growth cycle, from bud break to flowering and, finally, the ripening stage. Proof that the combination of our cool terroir and plots that are now reaching maturity, can meet the challenge of atypical climatic conditions. Excellent levels of ripeness were achieved for all varieties, with beautiful aromatic expressions and good balance for all plots, from the first to be picked through to the last. Dark red with a beautiful brightness. Open, powerful nose, with the notes of garrigue and clove that are characteristic of wines from Corbières’ best terroirs. After a smooth, fresh attack on the palate, the wine develops more power. Very good, dense structure. Despite their youth, the tannins are already supple and supported by well-integrated wood. This wine presents a particularly fine harmony between freshness and structure. As in previous years, the weather varied enormously over the Languedoc region. In the north, there was heavy rain at the end of the summer, while in the Narbonne area, further to the south, there was hardly a drop of rain over the same period. At Aussières, the weather provided ideal conditions for the vines throughout the growing season, from bud break, through flowering and ripening. Thanks to these consistently good conditions, all of our plots were able to reach optimal ripeness, offering excellent aromatic expression and perfect balance for all varieties: from the early-ripening Chardonnay to the later-ripening Mourvèdre and Cabernet Sauvignon. The nose presents good intensity, with a blend of spices and aromatic Mediterranean plants. Slightly smoky notes are underscored by red fruit. Elegant attack with delicate tannins, accompanied by more complex notes of fresh fruit. The blend of four grape varieties produces tremendous roundness and harmony. The Languedoc underwent marked disparities in terms of climate, particularly regarding rainfall, which impacted each production zone differently. The northern and southernmost parts of the region tended to receive an excess of rain, while the central area suffered from a shortage. Even within Aussières’ vineyard, this year’s weather resulted in unevenness between the various terroirs and grape varieties. Despite very different conditions from the previous vintage, 2014 presents some similarities in terms of the balance of the wines, with good levels of extraction, lovely aromatic finesse and plenty of freshness. Very dark red with glints of violet. Intense nose of black fruit and garrigue with some roasted notes. Notes of berries, elegant tannins present from the attack. Pleasant roundness, developing more complex notes of spices and garrigue. The Languedoc was spared the vagaries of the weather that affected France’s other wine-producing areas, but 2013 was still an unusual year in terms of climate. Abundant rain during the autumn of 2012 was followed by a fairly dry winter. The cold, wet spring contrasted with the temperatures in the first few months of 2013, which were quite mild, in line with averages for the Languedoc. July and August were sunny and hot, enabling the vines to partially catch up after the slow start to the growth cycle. A relatively cool, dry September and October permitted a slow ripening of the tannins, and helped preserve the freshness all of the grape varieties. Deep red colour with glints of garnet. Subtle juniper-scented nose typical of the Provençal garrigue, combined with powerful notes of black olive. Very elegant, refined palate, with cocoa flavours from the ageing process mingling with spices. Good length, with a fresh, crisp finish. Best time for drinking: 2015-2017. The winter of 2012 will be remembered for the long period of cold weather that dominated February, with 12 consecutive days of sub-zero temperatures, and minimum values very rarely seen in the region (approaching -10°C). The particularly dry winter led to fears of a water deficit, but March, April and June brought plenty of rain and prevented any significant water stress. The summer period benefited from normal temperatures and rainfall. The only problems for this vintage occurred late in the season, with a rather cold September that ended with a stormy period. However, while this weather meant that the harvest was carried out in difficult conditions, it did not affect the quality of the grapes. Beautiful carmine colour with glints of ruby. The nose is reminiscent of the surrounding garrigue, with some floral notes of white rock rose (a type of Mediterranean shrub) mingled with black fruit. The warm palate presents handsome volume and is well-balanced with fine, delicate tannins. Good long, fresh, spicy finish. 2011 was characterized by a cold winter with significantly low rainfall and varying amounts of sunshine. In the spring, unlike other wine producing areas in France, the Languedoc benefited from regular rain. Mild temperatures accelerated the growth cycle, resulting in an advance of nearly 15 days by the start of the summer compared to an average year. However, this early advance gradually disappeared over June and July, which were characterized by several cold periods. Rain during the summer enabled sufficient water reserves to be maintained for the grapes to change colour and ripen without any problems.The entire 2011 harvest period was accompanied by exceptionally warm autumn weather. Beautiful deep, dark crimson colour. The nose is still slightly closed, with notes of black fruit that blend with the vanilla from the ageing in barrels. The attack is supple, with plenty of volume. Good concentration, well-supported by silky, elegant tannins. Notes of liquorice underscore the red fruit and the spiciness of the Syrah. The long finish brings a pleasant sensation of freshness. 2010 will be remembered for its cold winter, with unusually well-defined waves of low temperatures. The mild weather in April contrasted with the coldness of March and particularly that of May, when low temperatures, rain and even snow delayed the growth cycle of the early grape varieties. A hot summer with low rainfall did not allow the vines to catch up. Despite a very wet May, the overall rainfall was below average at the time of harvest. Aussières’ “cool” terroir helped the vines withstand the dry period, but the harvest was later than the previous year. The mild days and cool nights of the autumn enabled slow ripening with well-balanced grapes. The nose is initially characterized by notes from the barrel ageing with cocoa and a light woodiness, these are followed by the traditional notes of garrigue and spices. On the palate, the attack is clean and well-balanced. There is plenty of freshness with plump tannins that are already well integrated. The high proportion of Mourvèdre makes its mark in the slightly peppery finish. Weather conditions in 2009 were very uneven in the Languedoc. A rather wet winter ensured good water reserves. January 2009 will always be remembered for the massive storm “Klaus”, which generated winds in excess of 110 mph (180 km/h). Fortunately, Aussières’ vineyard did not come to any harm. A rainy period at the beginning of the growing season rebalanced the water supply. Very mild temperatures in April and May resulted in excellent growth. The summer benefited from relatively low rainfall in the form of localized storms, typical of the Mediterranean climate. The second half of August saw high temperatures that accelerated the ripening of the early varieties. Clean, fresh nose. Good harmony between the grape varieties, with typical Corbières characteristics. One can tell that Aussières’ Carignans are maturing and becoming more refined. Notes of flowers, blackberries and spices. The attack presents the wine’s usual suppleness and reveals a delightful sweetness. Perfect proportions of Mourvèdre and Syrah provide good structure. The concentration is medium, but this is intentional, in order to make the wine more accessible as soon as it is bottled. The winter and spring of 2008 were very dry but fortunately there was plenty of rain at the end of May. Then, despite the severe overall dryness, the growth cycle was able to continue very favourably due to a few strategic showers. The Tramontana and the sea breeze followed one another at the end of the summer, with regular sunshine and slightly below average temperatures. Beautiful dark red colour with hints of violet. The nose is already very intense, with dark fruit (blackberries) and garrigue combining with toasted notes. From the attack, notes of red fruit and the elegance of the tannins are immediately apparent. The palate then develops, with lots of roundness, to more complex notes of spices and garrigue. In 2007, the weather in the Languedoc was excellent. There was not much rain, but it fell at the right times. This resulted in the vines developing very healthily up to the harvests. Thanks to a very mild summer, the different varieties all reached a very good level of ripeness. This particularly well-balanced vintage gave a tremendous boost to the quality of the Mourvèdre plots. Beautiful dark red colour with hints of violet. The nose is already very expressive and, like the Château d’Aussières 2007, the wine’s Languedoc character is given full expression in this vintage. There is an explosion of notes of spices and Provençal garrigues this year! The wine immediately presents good volume on the palate. The increase in strength and crescendo is very harmonious with well-balanced concentration. The long finish offers deliciously persistent notes of black olive tapenade. In the Languedoc, 2006 will be remembered as a generous vintage. The winter was very wet and the cold weather lasted well into the spring, leading to late development of the vines. Between May and June, however, the weather was very good and provided us with excellent flowering conditions. Despite the very hot weather in July, conditions in August were temperate with light rainfall, which was ideal for the ripening of the grapes. The cloudy weather in September was good for the later-ripening varieties. Very dark, intense colour. Deep and harmonious on the nose with a good balance of fresh red fruit and discreet oak. Elegant and full on the front palate, becoming more powerful. A wine bursting with rich fruit, almost like biting into a ripe Burlat cherry. Long finish with ripe, silky tannins. 2005 in the Languedoc will remain an example of perfect climate conditions in the vineyard. The winter was harsh and windy, with a lot of wind and these conditions lasted until the mid-spring. Summer temperatures were in keeping with the norms for that period and growth and development were ideal. By harvest time this vintage had reached an exceptional level of ripeness. Strong, deep, dark red colour. The nose is pleasantly characteristic of the terroir with a mix of spices and aromatic plants from the garrigue (low-growing vegetation in the region). Fresh red fruit is also present, with hints of smoke and oak. On the palate, the attack is elegant with delicate tannins. There is a real impression of harmony due to the presence of four grape varieties.